This privacy notice has been written to explain what information we collect from you as a visitor to our website and/or a customer. In a nutshell, please rest assured that we take data privacy very seriously. We won’t misuse your data, collect information we don’t need or pass your details to any third parties who do not need it or who you would not expect us to. We also take additional offline security measures to protect your data. If you’re interested in learning about these, please read on. We have agreements in place with all of the partners we share your information with and all are compliant with the General Data Protection Regulation (GDPR). What do we use your email address for? Once you are a North East Gifts customer, we will process your data for marketing purposes using ‘Legitimate Interests’ as our lawful basis for doing so. ‘Legitimate Interests’ means that we can process your personal information if we have a genuine and legitimate reason and we are not harming any of your rights and interests. You will always have the right to opt out at any time and we will always honour any such requests. We won’t pass your details to third parties, other than data processing partners (i.e. MailChimp) and only send an average of one or two marketing emails per month unless centred around a specific commercial event like Mother’s Day or Christmas. How long do we process data for? We will consider you as a ‘customer’ of North East Gifts for 18 months from the date of your last order. If you do not order again within 18 months you will automatically be opted out of receiving our direct marketing emails. If you order again from us after 18 months and have not previously opted out by unsubscribing, we have a legitimate interest to start sending you marketing communications about our products and services again. You can opt out of marketing messages at any time by clicking on the ‘unsubscribe’ link in any of the emails you receive. Right to object to automated processing, including profiling – the right to be subject to the legal effects of automated processing or profiling. If you would like to request access, rectification or deletion of the data we hold about you, please email dpo@northeastgifts.co.uk. We have a duty to monitor and detect any potential data breach (for example if we believe email addresses or personal data has been stolen from us or any of our data processing partners). If we suspect a data breach has occurred, we will report it immediately to the ICO (Information Commissioners Office) and, if necessary to do so, the data subject(s). We use secure servers and internationally-approved payment processors in order maximise the security of your payment card details. Every effort has been made to ensure accessibility to North East Gifts at all times. If you require any information that you cannot obtain for our webiste, please contact us. 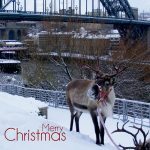 Copy, print or download extracts of the material on this website for the sole purpose of using this website or placing an order with North East Gifts. All work in the Arts category of North East Gifts is the sole copyright of the respective artist as named in the product description. ALL RIGHTS RESERVED.